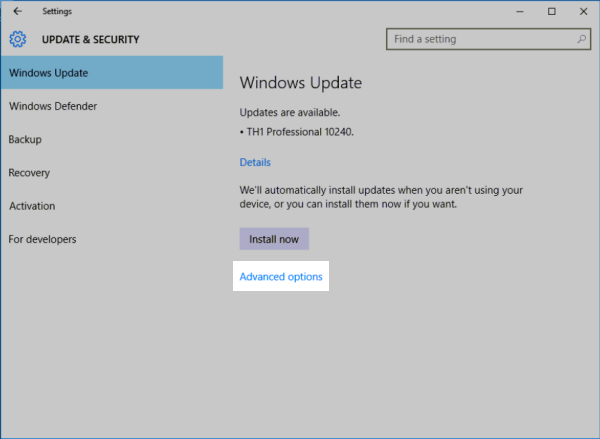 Windows Updates are set to install automatically by default on most versions of the Windows operating system. These updates are important for maintaining a healthy computer. However, installing Windows Updates can cause the computer to restart. If the computer restarts during a Carbonite restore, it could significantly increase restore time. Carbonite recommends configuring automatic Windows Updates during long restores to prevent interruptions and reduce the overall restore time. 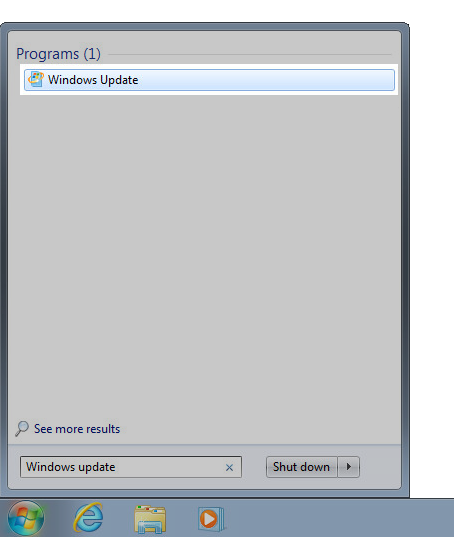 Windows Updates can easily be re-enabled after the completion of your Carbonite restore. 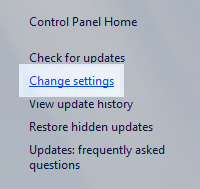 Automatic Windows Updates are now configured. 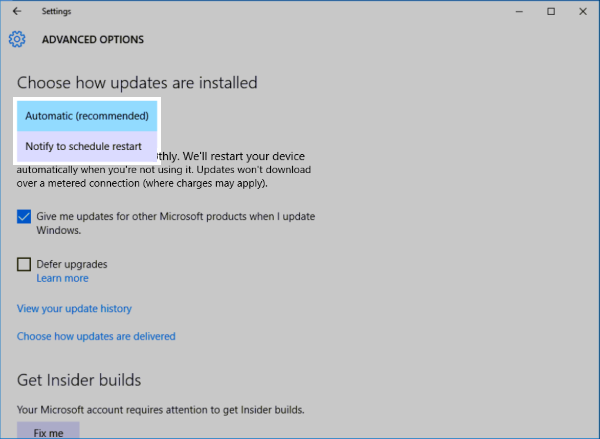 To re-enable automatic Windows Updates after the Carbonite restore is finished, follow the same steps above and set Important updates back to Install updates automatically (recommended). 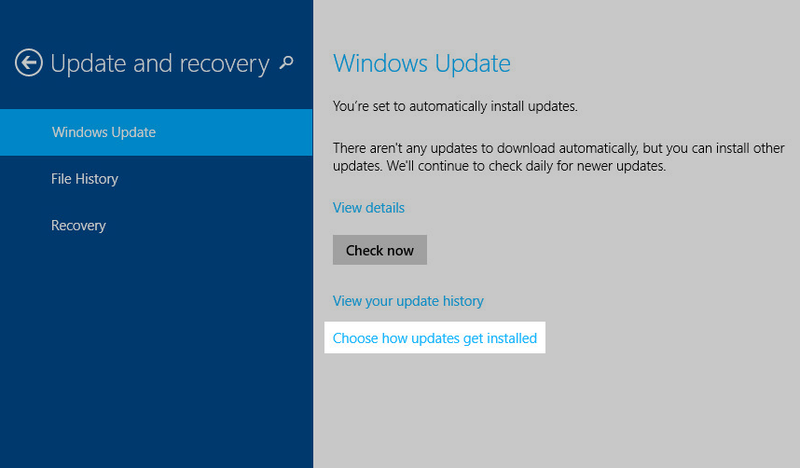 Under Choose how updates are installed, click the dropdown and select Notify to schedule restart. You may now close the window. 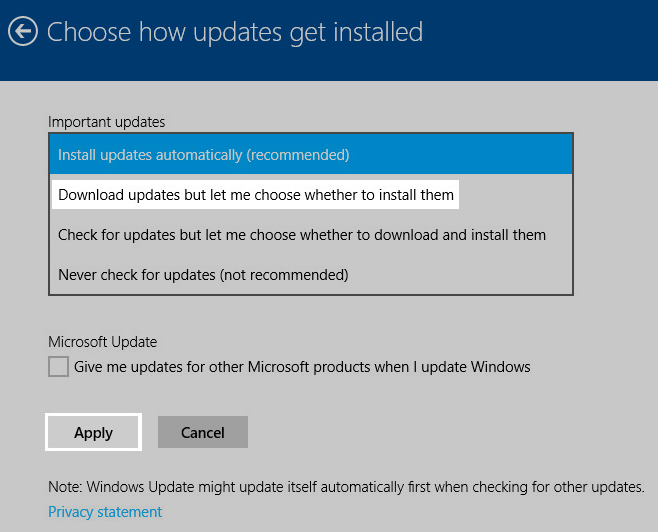 Note: You may not see an option to configure updates on some versions of Windows 10. If this is the case, you may proceed with your restore without configuring updates. 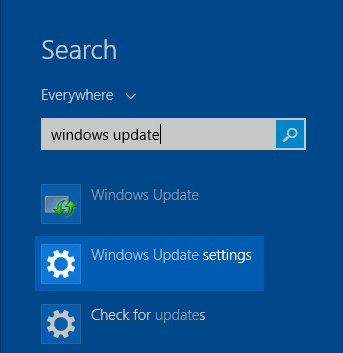 Automatic Windows Updates are now configured. 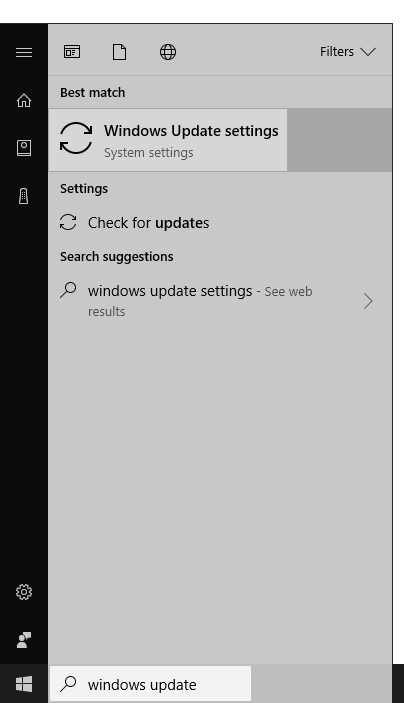 To re-enable automatic Windows Updates after the Carbonite restore is finished, follow the same steps above and select the Automatic (recommended) option in the final step.